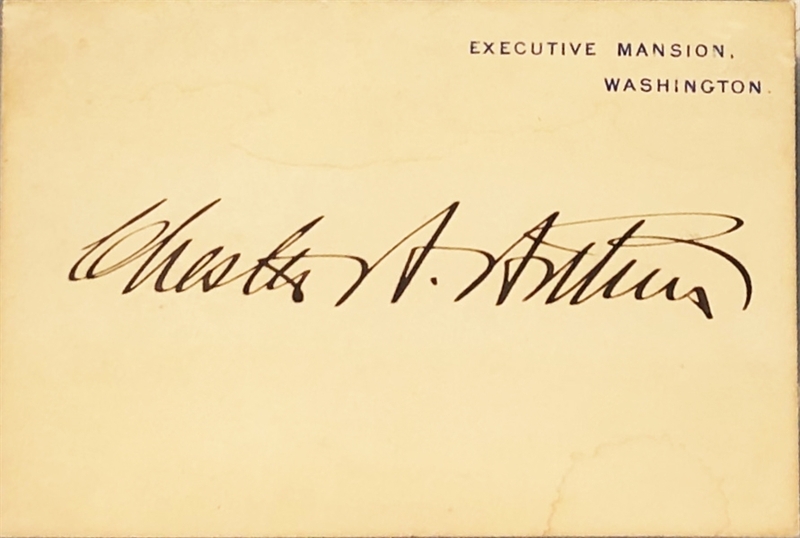 Executive Mansion card boldly signed in ink, "Chester A. Arthur." In very good to fine condition, with a faint toning, Off white, and old mounting residue to the reverse. Accompanied by an large engraving portrait.